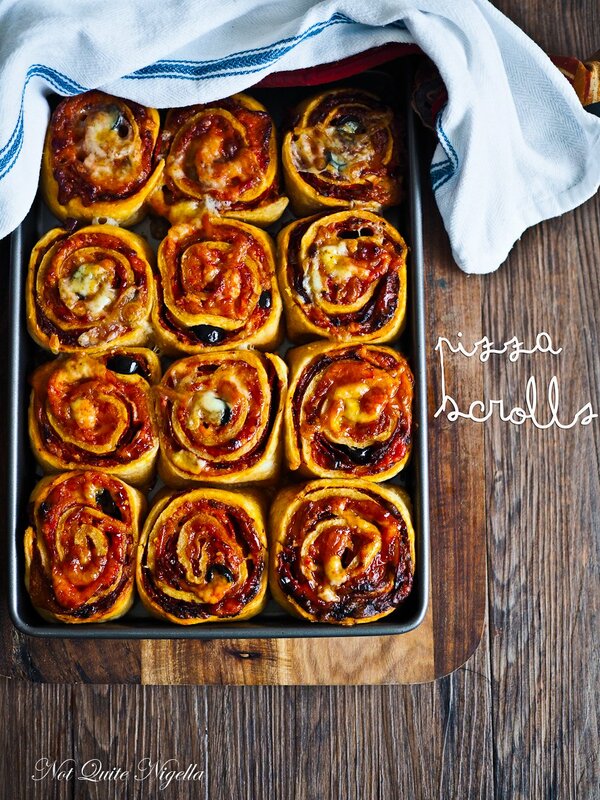 A Tray of The Most Luscious, Delicious Pizza Scrolls! 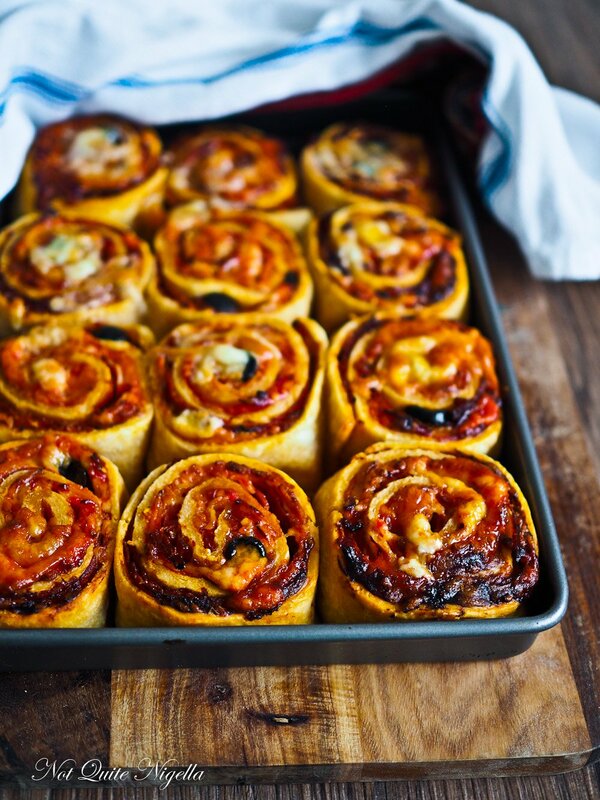 These pizza scrolls are an irresistible treat that you will make over and over again! 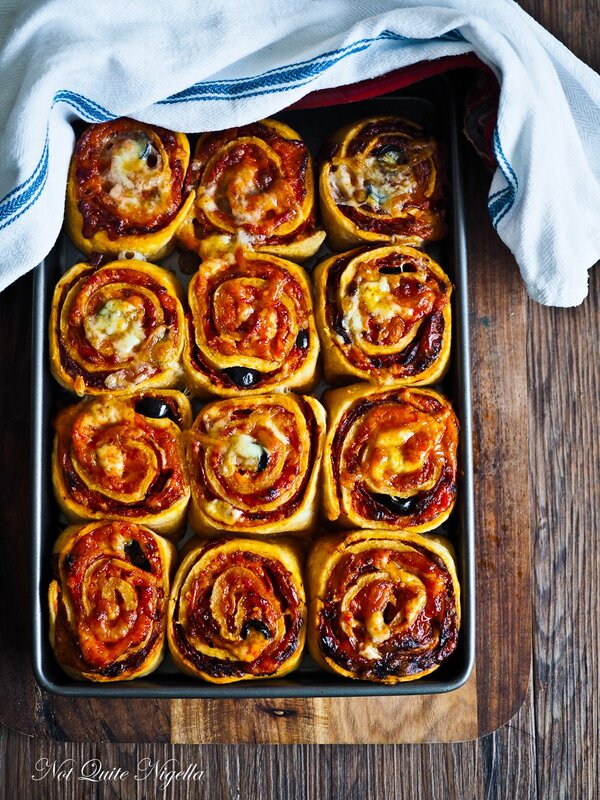 Easy puff pastry is rolled out thin and covered with tomato sauce, chilli salami, mozzarella and cheddar cheese and black olives to make an entire tray of the best pizza scrolls ever! 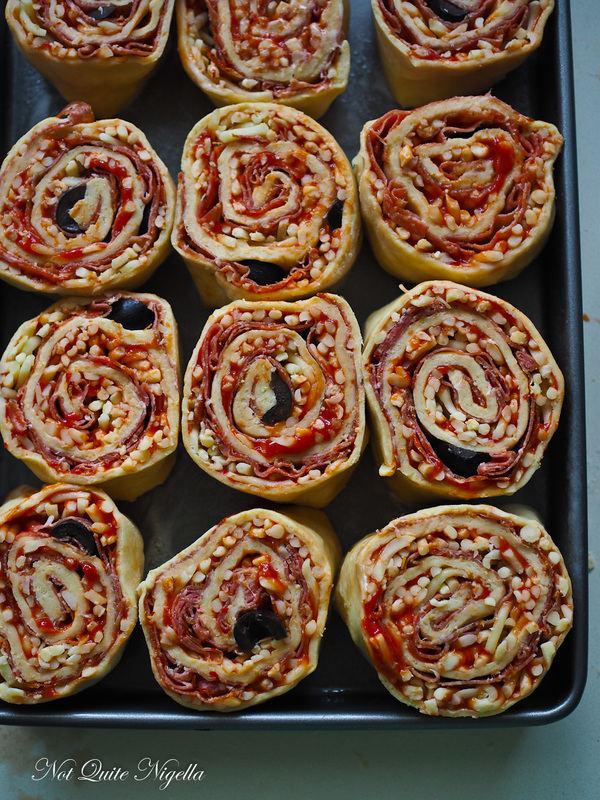 I first made these pizza scrolls by accident. I had finished making some pineapple tartes tatin and not wanting to put the puff pastry back into the freezer I rolled out the rest of the pastry, topped it with tomato sauce, chilli salami, cheese and olives and baked it and then realised from the first bite that I really did have to make these into a blog recipe because they were too damn good otherwise. Sometimes you just have to try things, even if they don't work. Thankfully this did and what resulted were the most delicious buttery soft scrolls ribboned through with salami, cheese and red sauce. I was talking to Belinda the other day about taking chances. We were driving home after eating out at a restaurant and my petrol gauge light turned on. Actually it had turned on earlier that night. Now I am not one of those people that takes chances with things like that. It was a torrential storm for starters (the start of the Stormaggedon weekend) and traffic was crazy with the water high on the road. Belinda, Cheryl and I all agreed that I needed to find a petrol station - stat! "I told you to fill the tank," I said sulkily to Mr NQN when I got home, wet from the storm. He shrugged his shoulders knowing that we have often have this conversation. He will let the petrol gauge go low, even dangerously so while I top it up as soon as the light turns on and all I can think about is that glowing orange petrol icon. "It's like you and the Wizard, you guys like living on the edge!" I said reminding him of the time our friend The Wizard had said that he was only mildly concerned for his safety on apps like Tinder. While Belinda lived in fear of a Tinder date murdering her, The Wizard merely said, "So I end up in a girl's basement for a couple of days...I'll get out eventually!". I mean honestly it's different for women! We can end up in a basement for years -that is after being forced to bear half a dozen kids to our kidnapper! Anyway, I got a bit carried away didn't I? My point was...hang on what was my point? Oh yes to give something a go. I don't mean Tinder dating where you can end up in a basement but sometimes when you try to make something to eat it tastes so good that you make it again. And again and again! Like these scrolls! So tell me Dear Reader, do you fill the tank as soon as the petrol light goes on? And do you worry about personal safety? Have you ever accidentally made a really delicious recipe? Step 1 - Make the pastry. Add the flour, salt and butter to a large food processor and process to become breadcrumbs. While the processor is going, trickle in the ice water until it starts to come together. Empty out onto a floured surface and form a ball of dough. Roll out into a long rectangle. Fold it over four or five times like you were folding a business letter. Roll out to a long rectangle again and roll it out like a Swiss roll. To watch a video of this take a peek here.Cover with clingfilm and rest for 1 hour. Step 2 - Preheat oven to 200C/400F. Oil a lamington or brownie tin (about 20x30cms). 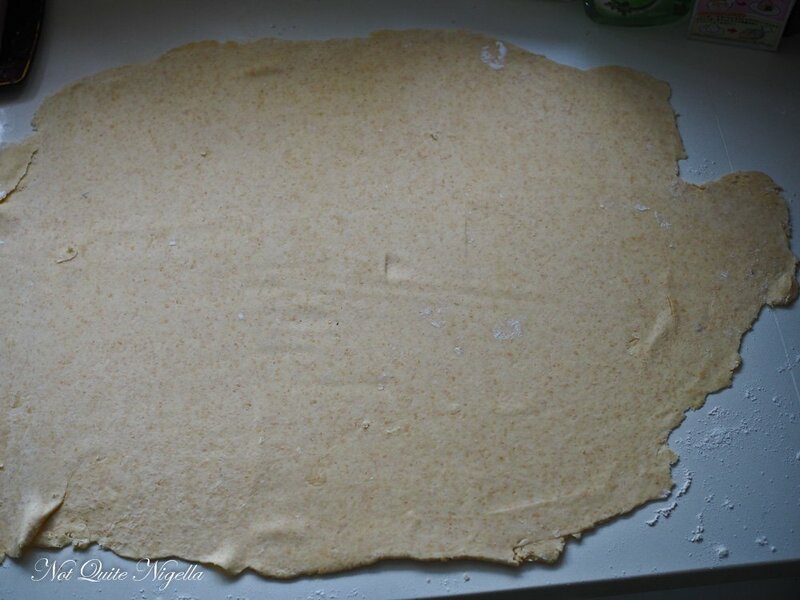 Add more flour to the surface and roll out to become a large rectangle about 40x50cms. You don't have to be exact but you do want a rough rectangle (don't worry about the edges, we can trim those off) and you want the dough to be thin but not break. 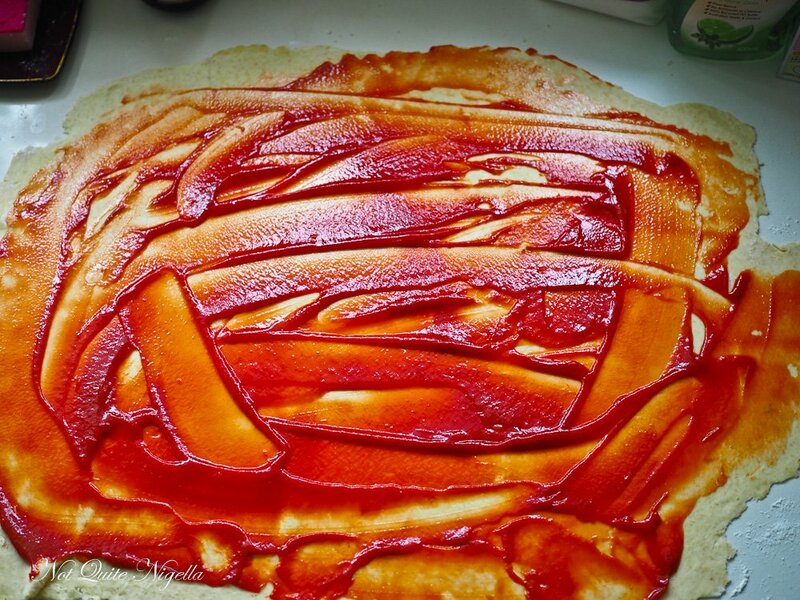 Step 3 - Mix the tomato paste and sauce together and spread across the dough reaching to the edge. 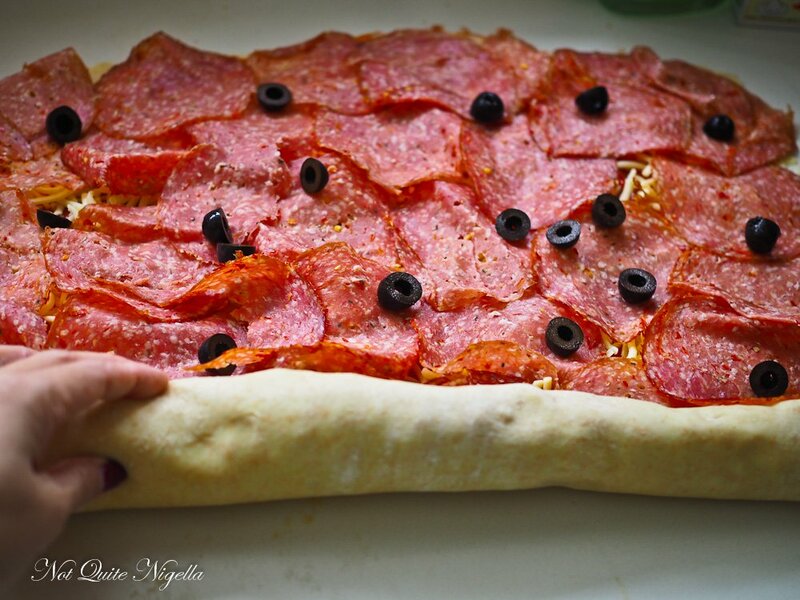 Top with the cheese and then layer the salami and black olives. Starting from the longest side in front of you, roll it up carefully to make a large log. Cut off the end pieces (they're a cook's treat ;)). Cut into 1 inch pieces and place cut side up on the tin. Bake for 25 minutes or until golden brown. recipeHow To Make Your Own Amazingly Delicious Turkish Pide! 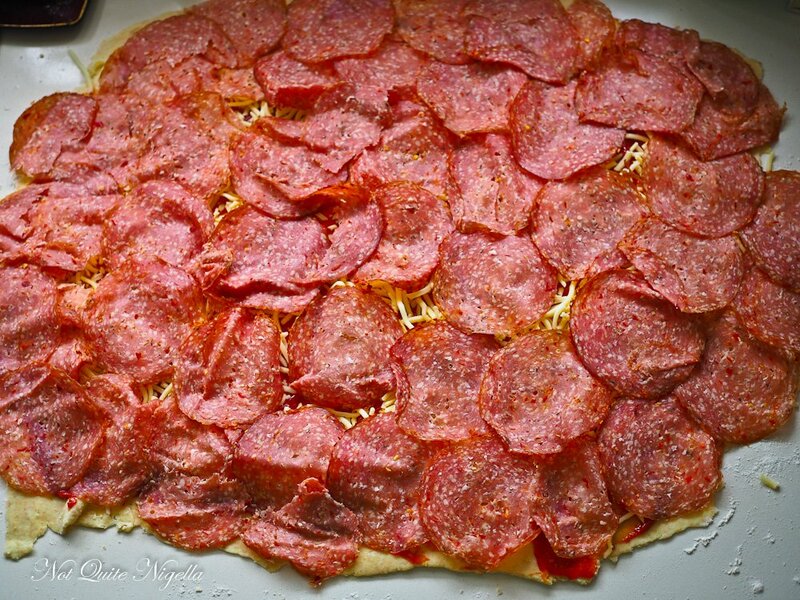 recipe How To Make Your Own Amazingly Delicious Turkish Pide!